10:30pm Wednesday. Heck. Let’s start early. We find ourselves in the parking lot of the walmart in murfreesboro, TN with new found Canadian friends who’ve shared their Canadian coors light with us. It’s better than ours. We’re waiting for 2 more to join us. We’ll leave in the morning to go in. 1:38am: starving so we headed to mcd’s. 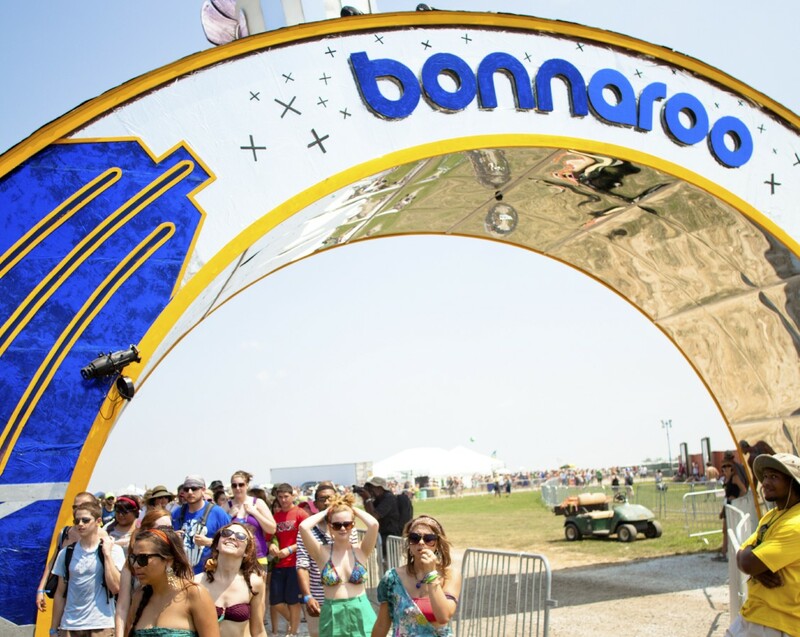 Off to bed now to brave the line to enter Bonnaroo. 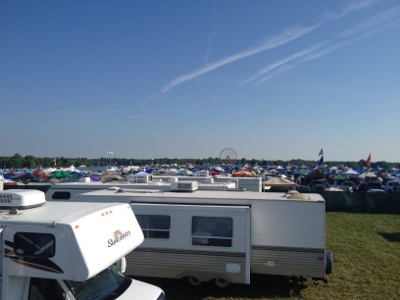 8:30am: Bonnaroo! We are in you! 10:43am: Centeroo gate opens at 11. 11am: Gates to Centeroo are open. Several people already have headfulls. Seriously? It’s 11am on the first day. Let’s pace ourselves folks. With that being said, there are no hippies in sight. 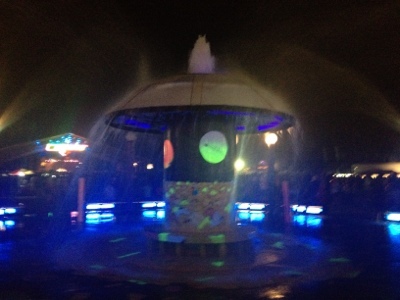 It appears Bonnaroo has turned strictly hipster. Not necessarily a bad thing. 1:36pm: Natasha Legero from Comedy Central has set up a red carpet outside the port o potties and is doing surprise interviews. She got our friend Missy. 3:15pm: Yes. They still break dance. 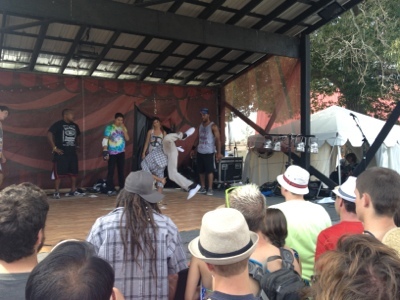 Great group of talented young dancers showcasing at the intimate Solar Stage. 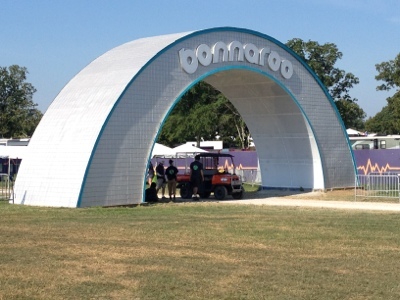 There are several smaller stages at Bonnaroo for dance, visual arts and world music. 4:30pm: K-Flay takes the stage at That Tent. K-Flay is a tremendous female vocalist, rapper, DJ and electronic artist. You may recognize the name from remixes. Her live show consists of her, a keyboard/synth array and a drummer. Her versatility allows her to transition from a rapid fire delivery directly into song. She blends elements of hip hop, sampling and dubstep. If you like MIA, Robyn, Sleigh Bells or Santigold, she’s worth checking out but much heavier than the forementioned artists. 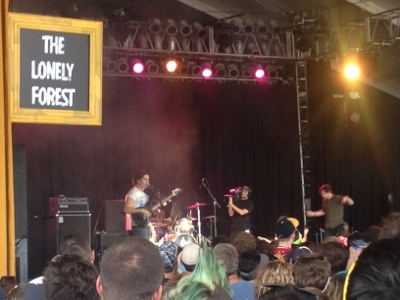 5:30: The Lonely Forest takes the stage at That Tent. While I know very little about this band, their single, “We Sing In Time” was enough to draw me to see their show first before stopping by to hear the end of The Cave Singers set. I can only describe TLF as a solid rock act, catchy riffs, powerful chords, climactic and upbeat tempo. You might compare it to REM’s earlier work. “Turn off this song” and “we sing in time” are both worth a listen. 6:45pm: Time for a little break. Yelawolf is at 8. Time to dose Advil, Benadryl and red bull. Phantogram, big gigantic, mimosa, and cherub all play tonight. It will be a great night for electronic music. 8:30PM: Yelawolf wasn’t for me. I left after he yelled to the crowd, “Who here does crystal meth?” He’s Eminem+Kid Rock. I stopped off at white denim. I didnt care for them either. Walked over to Moon Taxi. They won. I caught a few songs. They’re worth a look. 10:46pm: At Phantogram. Simply amazing. 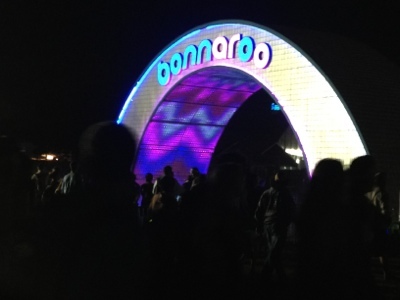 Bonnaroo is really overcrowded this year so it’s much harder to get close to your acts. Nonetheless, We were easily able to hear them from the side. Great female vocalist with orchestral electronica/trance. I’d compare them to a much more melodious and organized Crystal Castles. 11:30: A whirlwind. Caught the first few songs from Alabama Shakes. Great bluesy sing a long music. Next on to Mimosa, a DJ. Mimosa mixes current hip hop samples with very dirty, deep dubstep beats. His show is visually stunning, incorporating an impressive laser show. This bass is deep. I mean deeeeep. Next stop was Big Gigantic, referred to as “Big G”. Again, an impressive visual backdrop. Big G mixes jam band and jazz elements with electronica. Those factors contributed to it being the more interesting of crowds. 1:00am: Cherub plays the an intimate show in the Miller Lite lounge. A fan described it as Prince meets Chromeo. While it definitely has an electronic element. It is a full band, utilizing different instruments and synth techniques, much like raidiohead does. The lead singer plays guitar with a bit of auto tune. A strong dance beat is present. 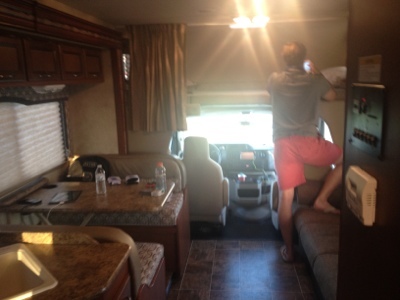 Final thoughts on Day 1: There were problems. The lack of a headliner or any acts on the supporting stage left the tents overcrowded. It didn’t feel like a real day at Bonnaroo. Nonetheless, it was great to see some strong new acts and make a few discoveries. It’s good to be back at Bonnaroo.